I called it. I knew that Jussie Smollett lied through his teeth. His story stunk like a pig farm. I’d love to make a big deal about calling BS on this story, except any village idiot would have come to the same conclusion. And thus we learn why so many Leftists supported Hillary Clinton. Social media doesn’t discriminate, and so on. In other words, Whatever Leftists say is a lie. The sources told CNN there are records that show the two brothers purchased the rope found around Smollett’s neck at an Ace Hardware store in Chicago. CNN’s attempts Saturday to reach both Smollett’s representative and attorney were unsuccessful. Smollett must be on suicide watch, since he won’t respond for comment. Because that’s the next step when Leftists get caught doing something devious. He’s avoiding the media in order to say he sought help. We will be told that Smollett has been under a lot of stress, taking medication that screwed him up. The Left hopes we will allow Smollett to put this whole thing behind him, “so he can heal”. What Smollett did was divisive. For the most part, Conservatives don’t care about color or sexuality. That’s a Leftist hangup. What we care about is the constant bitching by the LGBTQ and blacks about how unfair the world is. Meanwhile, these Leftist a-holes feast on the body politic. The two biggest groups to complain in America are represented by Jussie Smollett,: black and gay. And those groups have far surpassed “even” in getting their rights. The pendulum has swung so far Left, even the Left fear these Nazis. When anti-Trump, anti-Conservative, anti-American Smollett couldn’t find a real reason to hate the aforementioned, he contrived a scenario. He figured the pc-world would play along. I felt like a lone voice in the wind, as I immediately recognized this story for what it was. For the record, calling things as they are is what got me fired from Fox News. Their loss. Because as I was correct in calling Blasey-Ford and the other Kavanaugh accusers “lying skanks”, I was correct in knowing that Smollett is equally a lying skank. And holy mother of Scooby Doo, he would have gotten away with it, if it weren’t for those meddling kids: the Common Sense kids. On GMA, Smollett lamented that people wouldn’t believe his story. And while he lied to the nation, celebrities, politicians, and a fawning media reminded us of just how racist and homophobic America is in 2019. Listen to Robin Roberts attempt to make this lie believable. He opened up about what he’s learned and the bigger message he wants the world to hear. What do you feel people need to hear from this story. Chicago police have said has been consistent; he hasn’t changed his story. They also said it’s credible, police have said that, and also that he’s been cooperative. What an acting job. Tears and all. He tried to sell that lie as well as any politician does. Smollett looked like Nancy Pelosi talking about not funding the border wall. Or Hillary Clinton explaining why she needed a secret server in her basement. Conservative American, Trump supporters Happy New Year 2019. Chinese Year of the Rat. And Smollett is but another rat exposed in this glorious year. Let’s see who makes statements against him and his divisive lie? 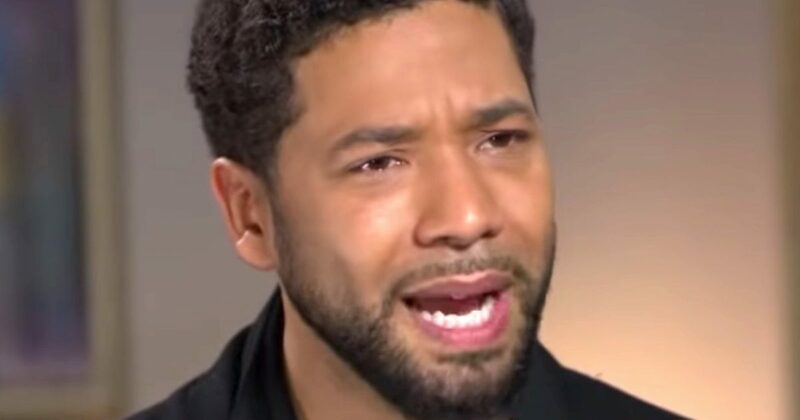 As for Smollett, expect him to do another exclusive interview soon. And we can hear a fresh new set of lies. He will say that his hatred of Trump’s policies drove him to whatever vice he now has. What you won’t hear is him expect total responsibility for his attempt to demean Trump supporters. Nor will the NAACP, the Urban League, or LGBTQ apologize to Conservatives for their lying scumbag. They will say we deserved it.